My 4 day Thanksgiving weekend is coming to an end and with all the busyness, I haven’t been able to work on the garden until Sunday. 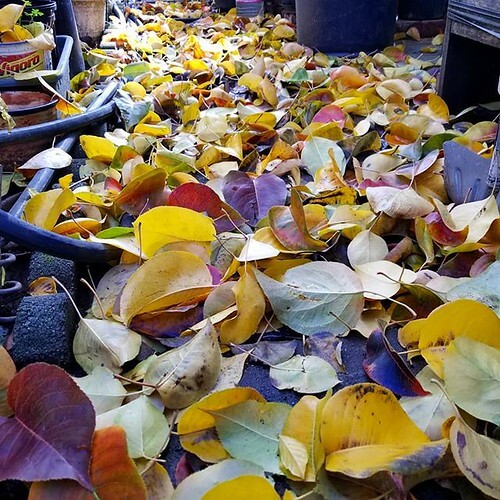 I raked up lots of fallen leaves mainly from our Snowball Viburnum, Crape Myrtle and Asian Pear trees. 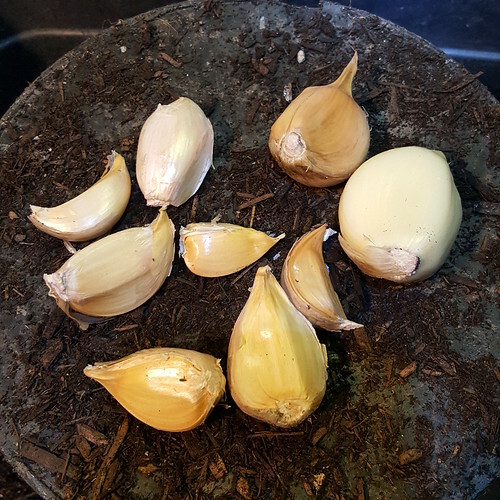 I also did some weeding in the vegetable beds and cleaned up plants that were dead or dying from the colder weather. 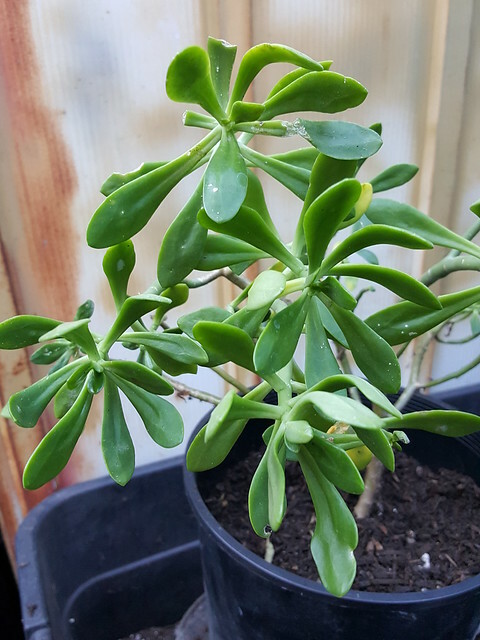 I found this succulent under our Bosc Pear Tree when I was doing some garden clean up and thought I would pot it up. 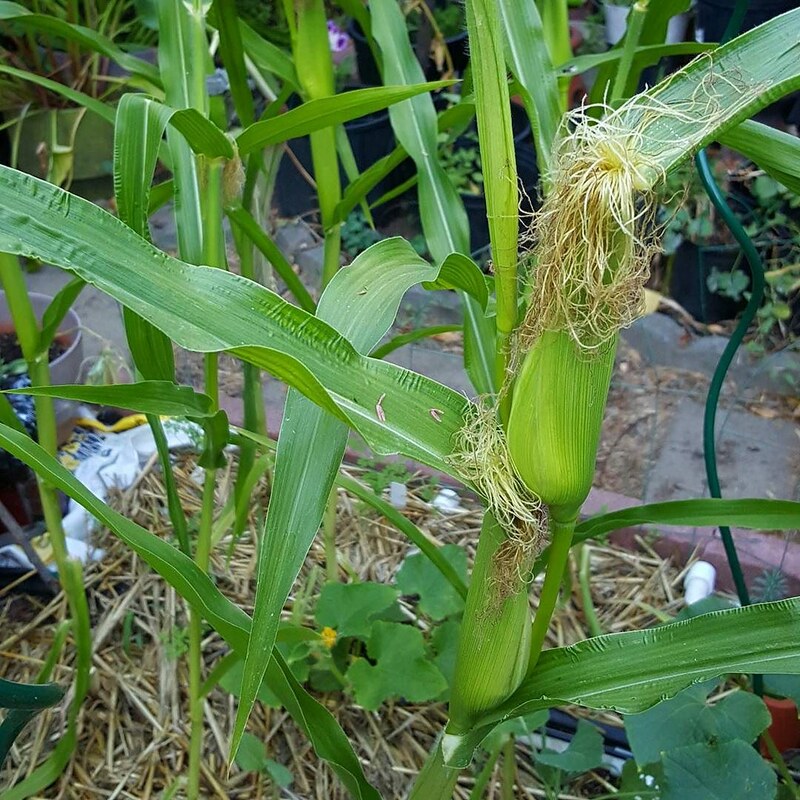 These have been growing along one of our fence and my Mom seems to think that may have popped up from our neighbor’s yard. 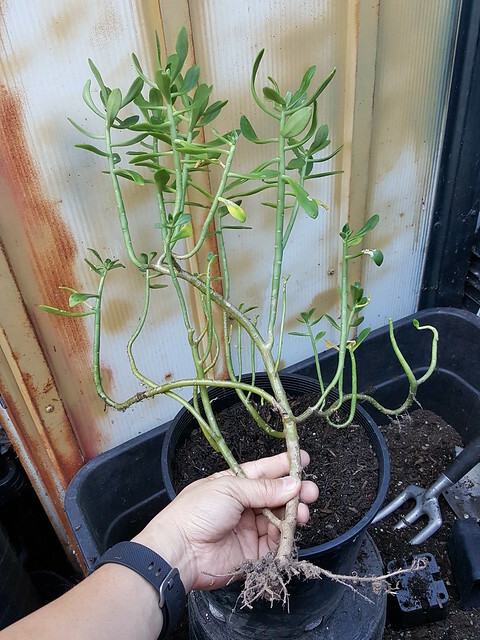 We never really took much notice or it, but when I saw this good sized multi-branch which was already partially rooted, I thought it would look much better properly potted up and given more light. I’m not really sure what it is. 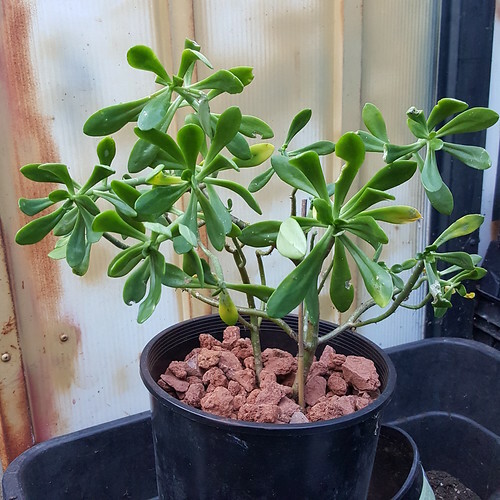 My Mom thinks it’s a Jade (Cassula sp.) while I think it may be a type of Aeonium… We don’t know. After dinner, I watched a bunch of YouTube videos about how to grow Dragonfruits, I have 3 existing varieties, two recently grown from cutting that I acquired and a bunch that I grew from seeds year ago. I’m. Now contemplating where in our garden I can plant the Dragonfruits so they don’t stay small in their pots. Afterwards, I did some late night planting in the back yard before I got freaked out by mysterious noises. 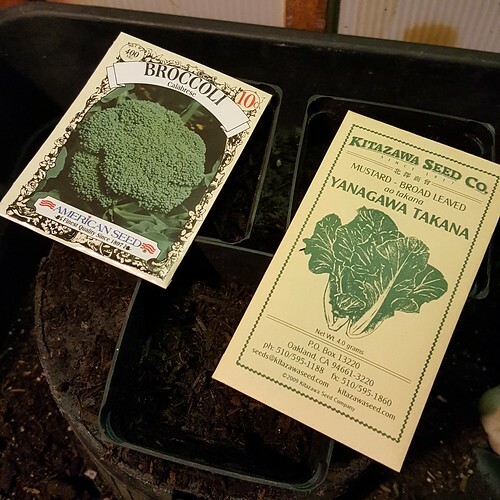 I planted some Calabrese Broccoli and Yanagawa Tanaka Mustard seeds into 3 inch pots which I will divided later (my new preferred method of growing seeds). 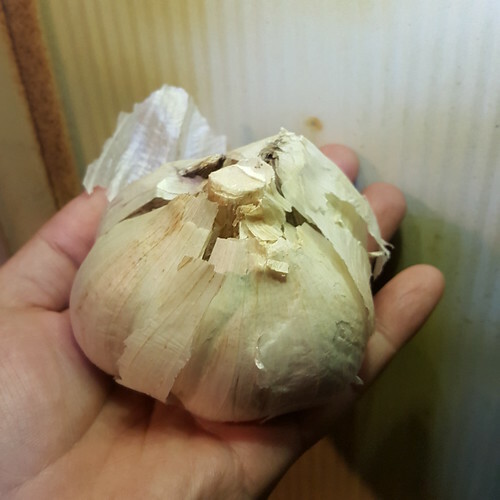 I also broke apart an Elephant Garlic that I bought from the grocery and planted the 9 bulblets into 3 inch pots. I’ll plant these out into the garden when they start sprouting a bit.